The waters just below the surface of Mars have the potential to hold enough molecular oxygen to support aerobic microbes and, in some cases, also simple animals like sponges, reports a paper published online this week in Nature Geoscience. On Earth, aerobic, or oxygen-breathing, life evolved together with photosynthesis, which raised atmospheric oxygen levels. However, on Mars oxygen is scarce, with only trace amounts being produced by the light-induced breakdown of carbon dioxide. Thus, it was previously thought that molecular oxygen would not be capable of supporting life on the Red Planet. Vlada Stamenković and colleagues calculated how much molecular oxygen could be dissolved in liquid brines composed of salt and water under the various pressure and temperature conditions expected to be found near the surface of Mars. They find that molecular oxygen concentrations are particularly high in the polar regions. 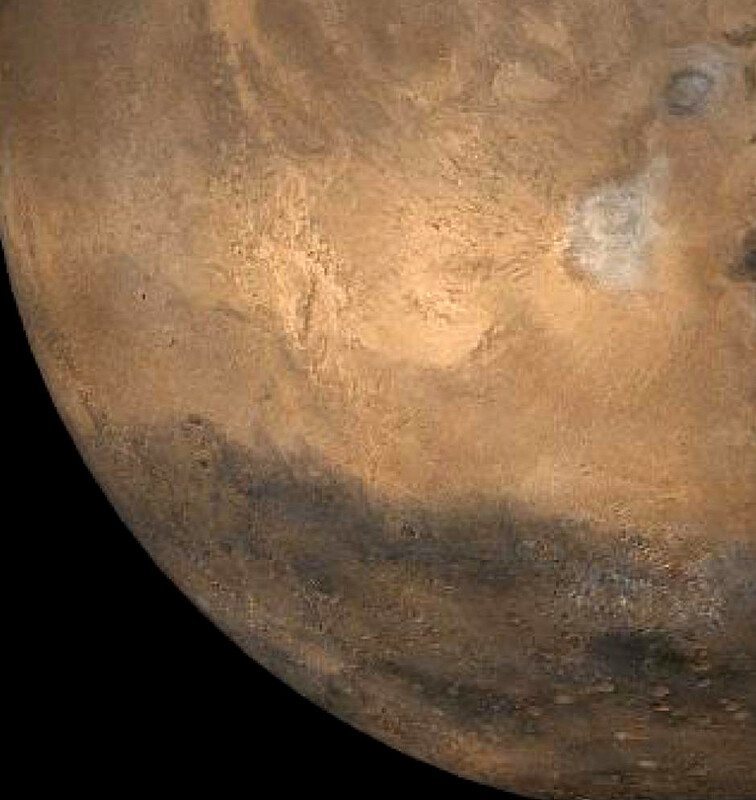 Furthermore, some of the brines in the Martian subsurface could contain enough oxygen to support aerobic life. These findings may also explain how the oxidised rocks seen by rovers exploring Mars’ surface could have formed.